Sportcombi on the streets off Trollhättan. This is an incredible sight. 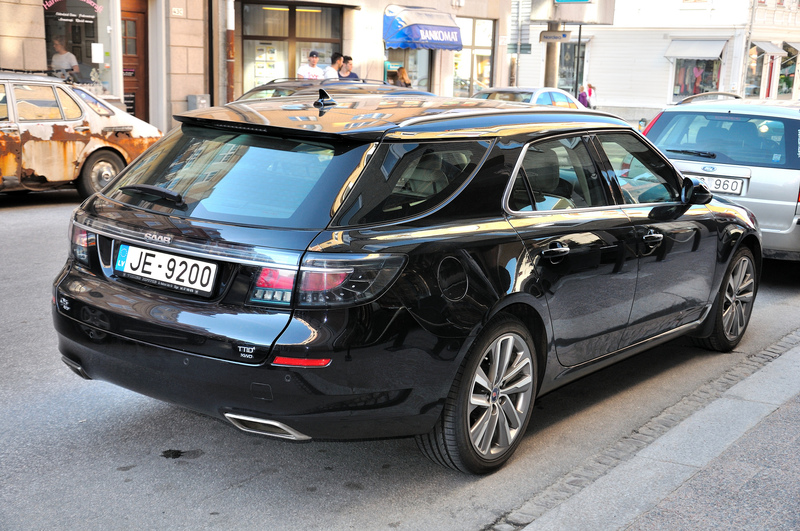 Parked on the street like any other car is a Saab 9-5 SportCombi 2012. If one were to look into the parking garage on the same street you will find 4 more sportcombis. This are no normal days this is the Saab Festival 2013. Saab 9-5 Sportcombi Roof railing original!